I know I’m a little behind the times, but I just found out about Signal, a secure texting app that provides a higher level of data encryption than any of the other texting apps out there. I’ve been looking for something different ever since I found out that Facebook acquired WhatsApp. (And, again, a little behind the times since Facebook acquired WhatsApp in 2014!) But, then again, even the founder of WhatsApp thinks that it is time to dump Facebook as this tweet reflects from earlier in the year. And, in my view, a for-profit company known to sell private data to the highest bidder is not on my “to be trusted” list. When I found out about Signal a few weeks ago I downloaded it right away. I was surprised to see who of my contacts are already using Signal. Even some of my family are in that list! Signal is a secure texting messaging app. It is free for the download from iTunes (you’ll need iOS 9.0 or later), or the Google Play Store (you’ll need Android 4.0 and up). Because it provides end-to-end encryption no one can view the messages you send except you and the recipient. In addition to secure texting, you can also use Signal for phone calls and video chat. If you found this helpful, please forward it to your friends! Chris Eddy of Geek For Hire, Inc. has been providing computer service to families and small businesses with Mac’s and PCs for the past fifteen years. His company is highly rated by both the BBB (Better Business Bureau) and by Angie’s List. You can find more on our website, or give us a call 303-618-0154. Geek For Hire, Inc. provides onsite service (Tier 3) to the Denver / Boulder / Front Range area as well as remote service throughout North America. Growing up with a Dad who was a psychiatrist, August was always the month for vacations. (As I got older I used to worry about his patients who were left alone for an entire month!) There are some things you can do to make sure you have secure WiFi wherever you are in the world. 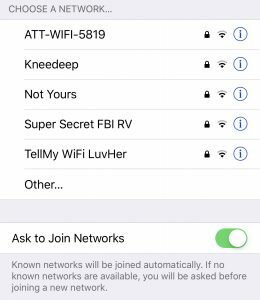 The most important is keeping your WiFi use safe and secure. Set up a throwaway email before you leave. While you are gone, you will be asked numerous times for your email address. Lots of times, they just won’t take “no” for an answer. Head over to Google’s Gmail sign up page for a new (free) account. Remember the password, and be sure you set up auto-forwarding to your main email address. You’ll want your smartphone to be able to receive any access codes that may be sent. When you’re going for free WiFi, try to use well-known companies. For example, Starbucks or the Hilton are well known for their secure WiFi and aren’t likely to steal your info for a nefarious use. 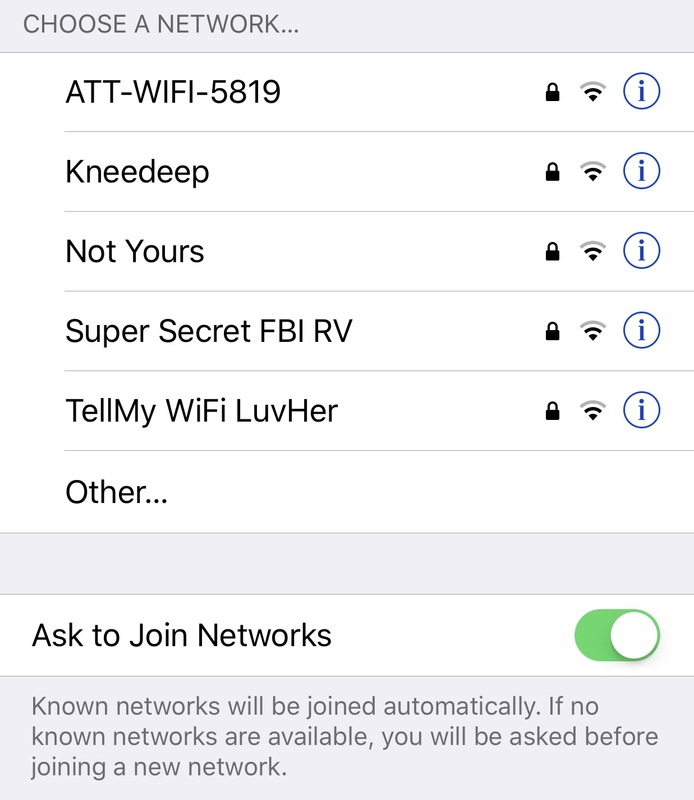 Whatever you do, don’t try to connect to WiFi with names like “TellMy WiFi LuvHer”, or “FBI Surveillance Van” or “Hacker 547”. (Yes, I’ve seen all of those.) Remember the old adage – “If it’s free, YOU are the product”. Think about what they might be getting out of the transaction to provide you with free WiFi. Sometimes the rest stops on the Interstate highways will have free secure WiFi, but only if you provide them with your email address and zip code. This is where that new throw-away email comes in handy. If they do ask for your name and zip, remember that you don’t have to give them your real info.